The fourth generation Land Rover Range Rover incorporates the latest in engineering technology, interior luxuries, and safety features into one of the finest SUV packages on the market. The 2013 model is a unique blend of performance, luxury, and off-road capability. While this model is not exactly priced for the budget-minded individual, several things stands out in favor of its design, engineering, and resale value. The Land Rover holds its value exceptionally well, better than nearly all competing models in this segment. From the moment one climbs aboard and puts the vehicle in gear, drivers and passengers tend to have a fantastic experience. 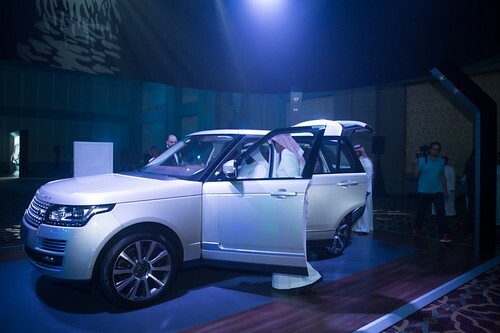 Best of all, buyers can literally build their new Range Rover from the chassis up. The supercharged Ranger Rover HSE contains a 5.0L V-8 engine that delivers enough power to tow more than 7,700 lbs. The vehicle is equipped with electronic traction control, the advanced Dynamic Stability Control, and electronic brake-force distribution. The cross-linked air suspension makes for a very smooth ride over even the roughest terrain. Drivers will love the inclusion of a twin speed low range transfer gearbox, the dynamic response engineering, and the 8-speed automatic transmission. Automatic headlights, power-fold exterior mirrors with memory, and the powerful xenon headlamps are all part of the standard equipment package. The follow-me-home lighting is another wonderful addition to the HSE package. The uplevel HSE and Autobiography trims are elegantly furnished from the dash to the rear window. Some of the standard features on both trims include leather seats, multi-zone climate control, interior mood lighting, and heated steering wheel. Both the front and rear seats are also heated, and the rear bench seat has cargo pass-through capability. The 8-inch touch-screen puts the driver in total command of the vehicle functions. The hard disk navigation system is the finest available, and the Meridian sound system produces a total of 380 watts. Auxiliary and USB sockets are located throughout the spacious cabin. The magnificently equipped Autobiography trim comes with a full 4-zone climate control system, ebony leather seats, illuminated tread plates, and bright pedals. Both the upper and lower/tailgate doors are fully auto-powered, and the vehicle features a lockable cross beam along with loadspace rails. The intuitive voice control and the powerful 825-watt sound system are standard features on this distinctive model trim. Dynamic Route Guidance is another innovation found on the Autobiography, and the rear-seat entertainment system has a touch-screen remote control. In addition to the standard set of front and side airbags, the 2013 Range Rover is equipped with a perimetric alarm and engine immobilizer, power-operated child locks, and a full set of anchors and tethers for booster seats in the second row. The active speed limiter and automatic hard-braking hazard light function are also standard equipment on all trims. For a lot less money, buyers can still enjoy a multitude of standard features. The base trim Range Rover has a standard MSRP of $83,545. Its available in the same exterior colors as the uplevel versions and contains the same safety equipment, exterior lighting features, and powerful V-8 engine. The major difference between the base model and the uplevel trims is seen in the upholstery and seat material. With government regulators increasingly mandating efficiency, the 2013 Land Rover Range Rover changes primarily about making the model’s structure more efficient. 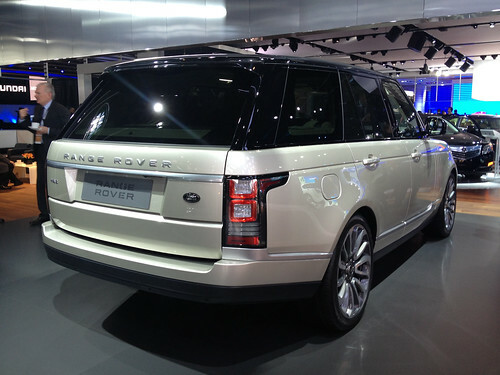 Land Rover’s design team has been able to shave an impressive 700 pounds off the model, compared to the 2012 model. This was done by become the first sport-utility vehicle with an all-aluminum unibody structure, including the front and rear subframes. The model’s powertains are largely unchanged. But the model does have an eight-speed ZF automatic transmission as a standard features. On the inside, the model remains a sumptuous spectacle of luxury but rear seat passengers will appreciate an impressive 4.7 more inches of more leg room. The Land Rover Range Rover is one of the top luxury SUVs on the market. The base model and HSE trim are available in a wide variety of exterior colors including Fuji White, Siberian Silver, Premium Metallic Luxor, and Indus Silver. 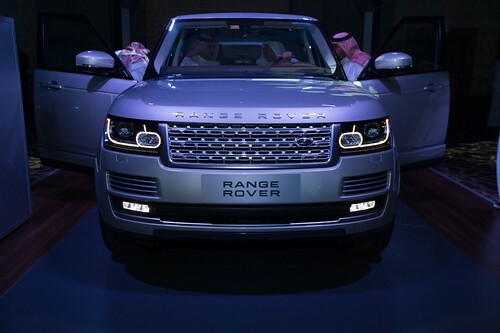 The Range Rover’s competitors include the Toyota Land Cruiser, Mercedes-Benz GL450, and Porsche Cayenne Turbo. The only cons may be the model’s poor and high cost of repair. However, these factors are pretty standard with a model approaching six figures.